regulators: doesn’t trust private sector to do enough, but regulation tends to be prescriptive. NIST can play critical role: standards and best practices, esp. on privacy and security. Comparatively, any company knows more about potential and liabilities of IoT than any government body. Can lead to bewildering array of IoT regulations that can hamper the problem. Business model problem: security expensive, may require more power, add less functionality, all of which run against incentive to get the service out at lowest price. Need selective regulation and minimum standards. Government should require minimum standards as part of its procurement. Government rarely willing to pay for this. Pending US regulation shows constant tension between regulation and innovation. Utah cities network embedding sensors. Scalability and flexibility needed. Must be able to interface with constantly improving sensors. Expensive to retrofit sensors on infrastructure. From physical security perspective: cameras, etc. to provide real-time situational awareness. Beyond human surveillance. Add AI to augment human surveillance. “Dealing with ‘data deluge. '” Example of proliferation of drones. NIST might help with developing standards for this. Battery systems: reducing power consumption & creating energy-dense batteries. Government could help. Government could also be a leader in adoption. Social media involved in most cyberwar attacks & most perps under 21. They become linked solely by social media. now we’re connecting billions of things, very vulnerable. Add in driverless cars & threat even greater. Examples: non-encrypted data from pacemakers, and the WIRED Jeep demo. criminals have all the time to prepare, we must respond within minutes. comprehensive approach: broad policy framework in 6 Latin American countries. projects: she works on telecommunications and transportation investing in government infrastructure in these areas. Most of these governments have been handicapped by lack of funding. Need expert data integrators. Integrating cybersecurity. (yikes, never thought about this!) cyberterrorist hacks self-driving car & drives it into a crowds. many cyber-engineers who might go to dark side — why hasn’t this been studied? could we get to point where IoT-devices are certified secure (but threats continually evolve. Upgradeability is critical. do we need a whistleblower protection? Session 4: Key Policy Considerations for Building the Cars of Tomorrow – What do Industry Stakeholders Want from Policymakers? deep in 5-G: how do you leverage it, esp. for cars? connecting 25+ of auto OEMs. Lot of trials. massive increase in connectivity. What do you do with all the data? Will require massive infrastructure increase. about 1 Gig of data per car with present cars. Up to 30 with a lot of streaming. don’t need connectivity for self-driving car: but why not have connectivity? Also important f0r the vehicle to know and communicate its physical state. Machine learning needs data to progress. people won’t buy vehicles when they are really autonomous — economics won’t support it, will move to mobility as a service. emphasis on connected cars, how it might affect ownership patterns. regulatory process slow, but a lot of action on state level. “fear and uncertainty” on state level. Balance of safety and innovation. issues: for example, can you get traffic signals to change based on data from cars? car industry doesn’t have lot of experience with collaborative issues. How Are Smart Cities Being Developed and Leveraged for the Citizen? 85% of data you need for smart cities already available. Prospect Ave.: neighborhood with worst problems. Major priority. 122 common factors all cities doing smart cities look at! privacy and security: their private-sector partner has great resoures, complemented by the city’s own staff. THE AT&T Smart Cities guy. creating services to facilitate smart cities. work in Miami-Dade that improved public safety, especially in public housing. Similar project in Atlanta. privacy and security: their resources in both have been one of their strengths from the beginning. 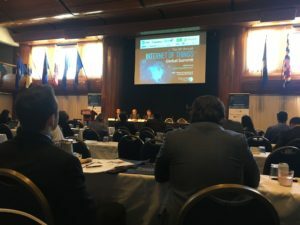 Quantified-Self devices not really taking hold (yours truly was one of very few attendees who said they were still using their devices — you’d have to tear my Apple Watch off). privacy & security: privacy and security aren’t top priorities for most startups. why do we need it? Data sets shared among all parties. Each can verify the datasets of other participants. Datasets that have been tampered are excluded. Creates immutable single source of truth. Allows smart contracts. Fully transparent. Smart and trustless escrow. secure car data — VW. Can’t be faked. Data marketplace — buy and sell data securely (consumers can become pro-sumers, selling their personal data). far too many manufacturers don’t make security a priority. Are customers aware? industry constantly evolving global standards — US can’t be isolated. cybersecurity with IoT must be 24/7. 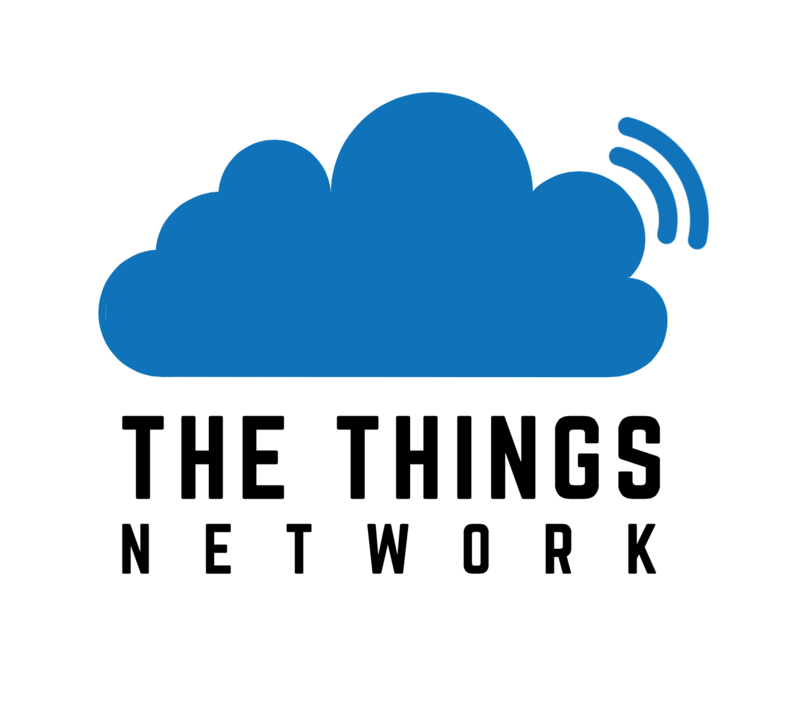 CTIA created an IoT working group, meets every two weeks online. believe in public/private partnerships, rather than just regulatory. unlicensed spectrum, esp. for short-range devices. New frequency bands. New medical device bands. trying to work with regulators globally to allow for globally-usable devices. wireless tradeoffs: choose two — low power/long distance/high speed. at Microsoft they see it as critical for a wide range of global issues, including agriculture. total architecture needs to be seamless, everywhere. Session 10: IoT Data-Ownership and Licencing – Who Owns the Data? consumer privacy right place to begin. at this point, have to show y0u have been actually harmed by release of data before you can sue. who owns SSID identities? How do you create an identity for things? cases involving lead generators for payday loan. Reselling personal financial info. who owns data depends on what it is. Health data very tough standards. Financial data much more loose. data shouldn’t be treated differently if it comes from a phone or a browser. industrial side: autonomous vehicle data pretty well regulated. Pending legislation dealing with smart cities emphasis open data. could meld with the exciting developments in smart city devices and strategy. I believe the results could make seniors happier and healthier, reduce the burdens on city budgets of growing aging populations, and spur unprecedented creativity and innovation on these issues. Here’s my vision of how the two might come together. I’d welcome your thoughts on the concept! It’s clear business as usual in dealing with aging in America won’t work anymore. 10,000 baby boomers a day retire and draw Social Security. Between now and 2050, seniors will be the fastest growing segment of the population. How can we stretch government programs and private resources so seniors won’t be sickly and live in abject poverty, yet millennials won’t be bankrupted either? As someone in that category, this is of more than passing interest to me! I propose a new approach to aging in cities, marrying advanced but affordable personal technology, new ways of thinking about aging, and hybrid formal and ad hoc public-private partnerships, which can deal with at least part of the aging issue. Carving out some seniors from needing services through self-reliance and enhancing their well-being would allow focusing scarce resources on the most vulnerable remaining seniors. The approach is made possible not only by the plummeting cost and increasing power of personal technology but also the exciting new forms of collaboration it has made possible. The proposal’s basis is the Internet of Things (IoT). There is already a growing range of IoT wearable devices to track health indicators such as heart rates and promoting fitness activities, and IoT “smart home” devices controlling lighting, heat, and other systems. The framework visualized here would easily integrate these devices, but they can be expensive, so it is designed so seniors could benefit from the project without having to buy the dedicated devices. This proposal does not attempt to be an all-encompassing solution to every issue of aging, but instead will create a robust, open platform that government agencies, companies, civic groups, and individuals can build upon to reduce burdens on individual seniors, improve their health and quality of life, and cut the cost of and need for some government services. Even better, the same platform and technologies can be used to enhance the lives of others throughout the life spectrum as well, increasing its value and versatility. The proposal is for two complementary projects to create a basis for later, more ambitious one. Each would be valuable in its own right and perhaps reach differing portions of the senior population. Combined, they would provide seniors and their families with a wealth of real-time information to improve health, mobility, and quality of life, while cutting their living costs and reducing social isolation. The result would be a mutually-beneficial public-private partnerships and, one hopes, improve not only seniors’ lives, but also their feeling of connectedness to the broader community. Rather than treat seniors as passive recipients of services, it would empower them to be as self-reliant as possible given their varying circumstances. They would both be based on the Lifeline program in Massachusetts (and similar ones elsewhere) that give low-income residents basic Internet service at low cost. Locally, Boston already has a record of achievement in internet-based services to connect seniors with others, starting with the simple and tremendously effective SnowCrew program that Joe Porcelli launched in the Jamaica Plain neighborhood. This later expanded nationwide into the NextDoor site and app, which could easily be used by participants in the program. The first project would capitalize on the widespread popularity of the new digital “home assistants,” such as the Amazon Echo and Google Home. One version of the Echo can be bought for as little as $49, with bulk buying also possible. A critical advantage of these devices, rather than home monitoring devices specifically for seniors, is that they are mainstream, benefit from the “network effects” phenomenon that means each becomes more valuable as more are in use, and don’t stigmatize the users or shout I’M ELDERLY. A person who is in their 50s could buy one now, use it for routine household needs, and then add additional age-related functions (see below) as they age, amortizing the cost. The most important thing to remember about these devices regarding aging is the fact that they are voice-activated, so they would be especially attractive to seniors who are tech-averse or simply unable to navigate complex devices. The user simply speaks a command to activate the device. Ask My Buddy helps users in an emergency. In an emergency, it can send phone calls or text messages to up to five contacts. A user would say, “Alexa, ask my buddy Bob to send help” and Bob would get an alert to check in on his friend. Linked thermostats can raise or lower the temperature a precise amount, and lights can also be turned on or off or adjusted for specific needs. Marvee can keep seniors in touch w/ their families and lessen social isolation. The Fitbit skill allows the user who also has a Fitbit to trace their physical activity, encouraging fitness. Again looking to Boston for precedent, related apps include the Children’s Hospital and Kids’ MD ones from Children’s Hospital. Imagine how helpful it could be if the gerontology departments of hospitals provided similar “skills” for seniors! Most important to making this service work would be to capitalize on the growing number of city-based open-data programs that release a variety of important real-time data bases which independent developers mash up to create “skills” such as real-time transit apps. The author was a consultant to the District of Columbia in 2008 when it began this data-based “smart city” approach with the Apps for Democracy contest, which has spawned similar projects worldwide since then. When real-time city data is released, the result is almost magic: individuals and groups see different value in the same data, and develop new services that use it in a variety of ways at no expense to taxpayers. overcoming social isolation (one might ask how a technological program could help with this need. The City of Barcelona, generally acknowledged as the world’s “smartest” city, is circulating an RFP right now with that goal and already has a “smart” program for seniors who need immediate help to call for it) . “Skills” are proliferating at a dizzying rate, and ones developed for one city can be easily adapted for localized use elsewhere. The second component of a prototype SmartAging city program would make the wide range of local real-time location-based data available by various cities usable by cities joininh the 100+ cities worldwide who have joined the “Things Network” that create free citywide data networks specifically for Internet of Things use. The concept uses technology called LoRaWAN: low-cost (the 10 units used in Amsterdam, each with a signal range of about 6 miles, only cost $12,000 total — much cheaper ones will be released soon), and were deployed and operative in less than a month! The cost and difficulty of linking an entire city has plummeted as more cities join, and the global project is inherently collaborative. With Things Network, entire cities would be converted into Internet of Things laboratories, empowering anyone (city agencies, companies, educational institutions, non-profits, individuals) to experiment with offering new services that would use the no-cost data sharing network. In cities that already host Things Networks, availability of the networks has spawned a wide range of novel local services. For example, in Dunblane, Scotland, the team is developing a ThingsNetwork- based alarming system for people with dementia. Even better, as the rapid spread of citywide open data programs and resulting open source apps to capitalize on them has illustrated, a neat app or service created in one city could easily be copied and enhanced elsewhere — virtuous imitation! The critical component of the prototype programs would be to hold one or more hackathons once the network was in place. 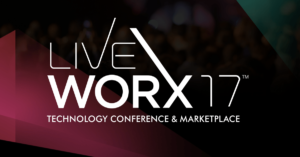 The same range of participants would be invited, and since the Things Network could also serve a wide range of other public/private uses for all age groups and demographics, more developers and subject matter experts might participate in the hackathon, increasing the chances of more robust and multi-purpose applications resulting. These citywide networks could eventually become the heart of ambitious two-way services for seniors based on real-time data, similar to those in Bolsano, Italy. The Internet of Things and smart cities will become widespread soon simply because of lowering costs and greater versatility, whether this prototype project for seniors happens or not. The suggestions above would make sure that the IoT serves the public interest by harnessing IoT data to improve seniors’ health, reduce their social isolation, and make them more self-sufficient. It will reduce the burden on traditional government services to seniors while unlocking creative new services we can’t even visualize today to enhance the aging process. I try to keep my politics out of this blog (disclosure: I am an old-fashioned liberal Democrat, who cares about poor, working-class white men AND everyone), but I do feel compelled to bring one little factoid to your attention: a quick review of Google earlier for “Internet of Things” AND Trump revealed absolutely nothing. As for Obama initiatives in the field, such as the recent Smart Cities contest, you can bet they will be among the first programs axed by executive action. If you didn’t feel compelled to vote, or, even worst, voted for him to “Send Washington a Message,” consider it sent, and I hope you can live with what you have set in process. As ye sow, so shall ye reap. True, and I stand corrected. Technology is not a panacea for urban issues, health care, or aging, but, I do believe that it can become one of the tools that could and should be debated by policy makers and the public. Cities are the future of global civilization and the economy, and smart cities are the only way they’ll survive and prosper! Join me and two SAP experts on the subject, Dina Dayal (global vice president for Digital Enterprise Platform Group) and Saj Kumar (vice president of Digital Transformation and Internet of Things) as we guest on Bonnie D. Graham’s always-enjoyable Coffee Break With Game Changers, 11 AM EDT, 8 AM PDT (it will be archived at the site if you can’t listen live. … with the emphasis on everybody: I’ll explain that there really is an important role in smart cities for city government, the private sector, and — often ignored — grassroots innovators. A critical key is the global Things Network, created by Wienke Gieseman and his Gang of Ten in Amsterdam, who created a free LoRaWAN city-wide data network for $12,000 and in less than a month, and then went on to create a global network and a crowdsourced campaign to bring the cost of LoRaWAN hubs down to $200. I like to think I was there at the beginning, working with Vivek Kundra, then the DC’s CTO (before his accomplishments there led Obama to name him the first US CIO). Vivek and Mayor Fenty took the bold move of releasing more than 40 major city data bases on a real-time basis, then held a contest to get smart developers to create new-fangled “apps” (remember, this was 2008!) to capitalize on them. Because the apps were open-source, they’ve been constantly copied and improved in the years since then. Smart Cities organizations have been formed in cities worldwide to share ideas — we’re all in this together! And, of course, I’m going to bring the discussion down to earth by really getting down and dirty — yessiree, we’re gonna talk trash cans. Free Citywide IoT Data Networks Will Catapult IoT Spread to Hyperspeed! One of the truly exciting things about viral digital phenomena is how rapidly they can take hold, outstripping the slow, methodical spread of innovations in the pre-digital era. I suspect we may be on the verge of that happening again, with an unlikely impetus: the crowdsourced global movement to create free citywide IoT data networks. We’re been there before, with the movement to open real-time public access to city data bases, beginning when CTO (and later US CIO) Vivek Kundra did it in DC in 2008, then sponsored the Apps for Democracy competition to spark creation of open-source apps using the data (bear in mind this was at a time when you had to explain to many people what an “app” was, since they, and smart phones, were so new). From the beginning, Kundra insisted that the apps be open source, so that hackers in other cities could copy and improve on them, as they have — worldwide. I was doing consulting for him at the time, and remember how incredibly electric the early days of the open data movement were — it inspired my book Data Dynamite, and led to similar efforts in cities worldwide, which in turn set the stage for the “smart city” movement as the IoT emerged. As detailed in my last post, we’re now launching a crowdsourced campaign to make Boston the first US city, and second worldwide (following Amsterdam) to have a free citywide IoT data network — and plan to up the ante by setting of goal to cover the neighborhoods too — not just the downtown. “1) Embrace the Swarm. As power flows away from the center, the competitive advantage belongs to those who learn how to embrace decentralized points of control. 2) Increasing Returns. As the number of connections between people and things add up, the consequences of those connections multiply out even faster, so that initial successes aren’t self-limiting, but self-feeding. 3) Plentitude, Not Scarcity. As manufacturing techniques perfect the art of making copies plentiful, value is carried by abundance, rather than scarcity, inverting traditional business propositions. 4) Follow the Free. As resource scarcity gives way to abundance, generosity begets wealth. Following the free rehearses the inevitable fall of prices, and takes advantage of the only true scarcity: human attention. 5) Feed the Web First. As networks entangle all commerce, a firm’s primary focus shifts from maximizing the firm’s value to maximizing the network’s value. Unless the net survives, the firm perishes. 6) Let Go at the Top. As innovation accelerates, abandoning the highly successful in order to escape from its eventual obsolescence becomes the most difficult and yet most essential task. 7) From Places to Spaces. As physical proximity (place) is replaced by multiple interactions with anything, anytime, anywhere (space), the opportunities for intermediaries, middlemen, and mid-size niches expand greatly. 8) No Harmony, All Flux. As turbulence and instability become the norm in business, the most effective survival stance is a constant but highly selective disruption that we call innovation. 9) Relationship Tech. As the soft trumps the hard, the most powerful technologies are those that enhance, amplify, extend, augment, distill, recall, expand, and develop soft relationships of all types. 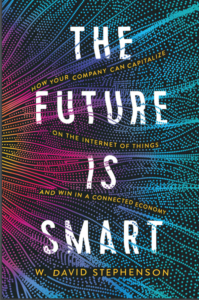 If you really want to exploit the IoT’s full potential, you gotta read the whole book. The LoRaWan gateways used in the Amsterdam project are already low cost: only 10 of the $1,200 units covered the downtown area. However, The Things Network hopes to crowdsource an even cheaper, $200 version through a Kickstarter campaign. If that happens, even small cities will be able to have their own free citywide IoT data networks, and when that happens, I’m confident the IoT will shift into hyperdrive worldwide! “To make this initiative grow exponentially, we have to take cyber security and privacy into account from the start of the development. Therefore, we have partnered with Deloitte, who is not only contributing to the network with a Gateway, but will also be the advisor on the security and privacy of the network.